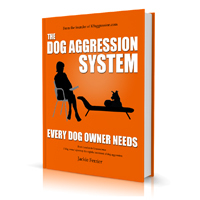 Although different forms of dog aggression have been identified and neatly categorized below, the reality is dog aggression is not so neatly segregated. It is rare to see a dog with only one type of dog aggression, and an aggressive dog may also have other behavior problems. This can sometimes complicate the diagnosis and treatment. .
We are currently updating our site to better serve you! Our home page, our FAQ and our tools and resources area will be affected. All other content and functionality is working as expected!